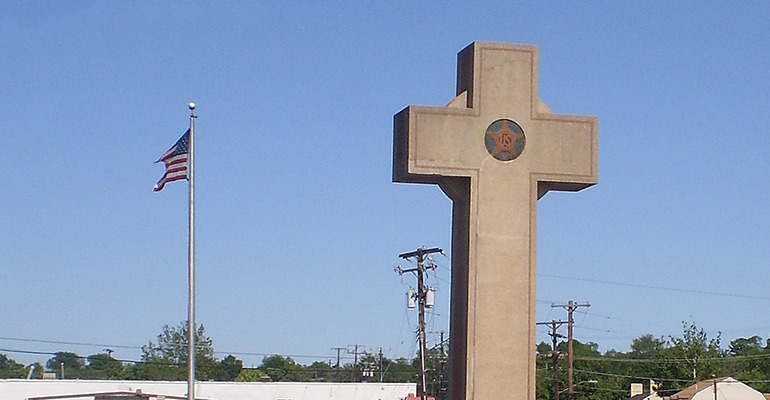 by FRC Action: The giant cross in Bladensburg, Maryland was supposed to memorialize a war -- not start one. Yet this small town, just a mile from the D.C. line, may be the sight of the most important battle over religious monuments yet. And it will be up to the Supreme Court, with new justices Neil Gorsuch and Brett Kavanaugh, to finally decide the winner. When the American Legion built the memorial in 1925, they called it the Peace Cross. Almost a hundred years later, the country's tribute to the heroes of World War I has seemed like anything but. 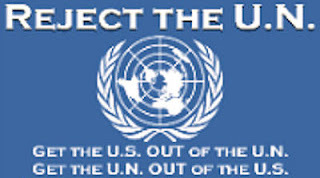 The American Humanist Association, who never met a religious symbol it liked, is determined to reduce the landmark to dust. Now, after more than a half-decade clash, both sides will have one last chance to make their case. And there's a lot more riding on it than the 40-foot tribute at the edge of the Anacostia River. As House Majority Whip Steve Scalise (R-La.) explained on last night's "Washington Watch," this isn't just about honoring the 49 men from Prince George's County who died. It's about the 400,000 graves just 13 miles away in Arlington Cemetery -- and millions more headstones across America. Scalise, who helped organize a brief from members of Congress, has been pushing the court to take this case and end the ongoing feud over public displays -- once and for all. "This is such an important case, and you were at the forefront of it as well in recognizing that if they take down Bladensburg, they're going after Arlington [Cemetery]. They're going after every marker on public land that has some kind of religious symbol -- whether it's the cross or Star of David. This is how people want to be remembered in their death, especially if they sacrificed their lives for our country. To think that a court decision could take that ability away... I'm so glad that Justice Kavanaugh is on the bench to participate in this case, along with Neil Gorsuch, because it means President Trump will definitely have a lasting imprint on this decision -- and hopefully, it's the right decision. "Like most Americans, he's tired of anti-Christian groups picking fights over historic monuments like the Mojave Desert Cross, the Bayview Cross in Pensacola, or Mount Soledad in San Diego. This really goes to, Scalise points out, "the heart of religious freedom attacks... People look at this and think, 'How could a court full of unelected judges say that you can't have a way to recognize the men and women who died for this country?' And this was during World War I. For nearly 100 years, this hasn't been an issue. And all of the sudden, a court is going to come and take away our religious freedom one more time, and we're on the defensive. We need the Supreme Court to reverse that decision if we're going to be able to keep these markers up." Obviously, cases like this are the product of an activist court. And on an election day like this one, it really drives home what's at stake. If 2016 had gone the other way, and Hillary Clinton was president, just imagine what the Supreme Court would look like. Not only would we lose this case, we'd lose the majority on just about every values issue that matters -- from religious liberty to abortion. Our friends at First Liberty Institute, who are representing the American Legion, know how ridiculous the other side's argument is. As FRC's Alexandra McPhee points out in a new op-ed for the Washington Examiner, "The Peace Cross is a war memorial. Simply because it is shaped like a cross, 40 feet tall, visible to the public, and maintained by the government" doesn't mean it establishes a religion. Even non-Christians understand that. Ismail Royer, a prominent Muslim, even authored a brief on the memorial's behalf -- not because he agrees with what the cross stands for, but because he recognizes its importance to his own expression of faith. "When I drive by the Bladensburg war monument," he writes, "I see a tribute to a community's fallen men. Being a Muslim, in the cross, I also see the symbol of a misconception about God's oneness. Unlike our litigious atheist friends, however, I have no difficulty with the presence of the monument on public land. Rather, I am reassured and grateful for this reminder that I live in a land where religion has a public presence." Ninety-three years ago, no one would have dreamed that anything about the cross would be controversial. And yet, at its base, almost in foreshadowing, are etched these words: "We shall fight for the things we have always carried nearest to our hearts." And religious freedom, a cause these men and so many others gave their lives for, is certainly that. FRC Action is a arm of the Family Research Council. Tags: Memorials Day, SCOTUS, Gets Final Say, Vets' Cross FRC Action, To share or post to your site, click on "Post Link". Please mention / link to the ARRA News Service and "Like" Facebook Page - Thanks!